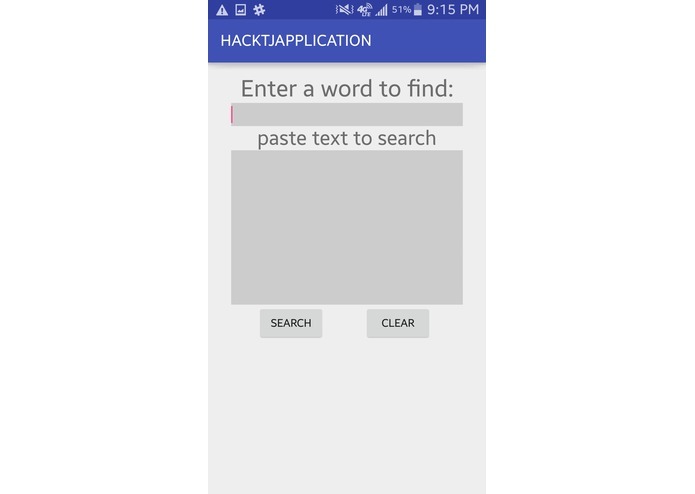 Copy and paste text and enter a word for the program to search for in the text. Searches for an entered word in a text that was pasted by the user using android's simply copy and paste feature. Detecting more than one of the same words. Highlighting the words when they were found. Completing the core function of just finding where the entered word was.